Sam Allardyce says Sunderland need an unbeaten run after ending their losing streak with a crucial win over Aston Villa. 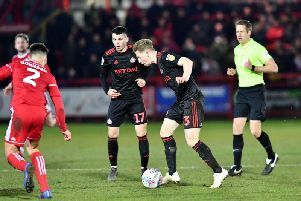 The end of 2015 proved to be rotten for Sunderland with five successive defeats plunging Allardyce’s men down the table, but they began the New Year on a high after Saturday’s 3-1 win over basement boys Aston Villa. Allardyce knows the Villa victory must only be the first step for Sunderland though, with a trip to fellow strugglers Swansea on the horizon next Wednesday night, after this weekend’s FA Cup third round tie at holders Arsenal. The Sunderland boss said: “An undefeated run is what we need. We need more of that in our make up. “I’ve been saying for a long time that if we’d drawn two or three of those five, as we should have... but we lost all five and that’s a criminal offence. “If you can’t win, don’t lose. “If you can do that you’re going to be close to where you want to be. Allardyce will wring the changes for Saturday’s trip to the Emirates, with the likes of recalled keeper Jordan Pickford and fellow youngster Tom Beadling potentially in line to make their Sunderland debuts. The two Premier League games which follow next week against Swansea and Spurs will be pivotal towards Sunderland’s survival bid, with Allardyce giving his players two days off ahead of those crunch encounters. “We’ve given the lads who’ve played all the games a little bit of rest, because we’ve got a massive week coming next week, with three games in less than seven days,” he added.